Let’s face it. 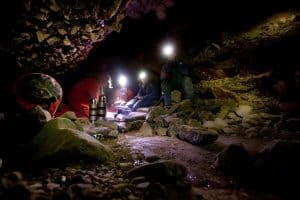 As soon as temperatures start to drop this fall, those of us south-siders (yes, I mean Kuna residents) are going to be less inclined to travel all the way to the other end of the Treasure Valley to get our fill of weekend fun. So, without further ado, here is a list of great things to do for fun this fall and winter in Kuna. Just up the road from Kuna, Linder Farms has a whole slew of activities for both adults and children. You’re sure to get lost in the official corn maze of the Boise State Broncos, cut into different football player patterns every year. 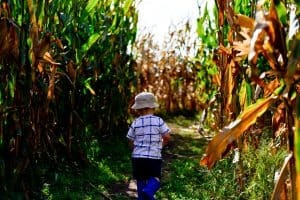 Of course there are the obligatory hay rides along the pumpkin patch and the hay bale mazes for the kids, but if that isn’t quite your flavor, maybe Zombie Acres is. At Linder Farms, you can take a tour through a corn maze while blasting zombies with a paintball gun. If you haven’t tried Zombie Acres at Linder Farms, you are definitely missing out. Visit their website here for pricing and ticket sales. Hands down, Enrique’s Mexican Restaurant has some of the best tacos in Kuna, if not the entire Treasure Valley. 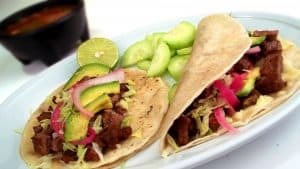 Formerly known as El Gallo Giro, Enrique’s takes pride in their traditional Mexican tacos, offering a variety of meat options, from your standard chicken, beef or pork, to more exotic options such as beef tongue, tripe or BBQ goat meat. If you are looking for a great place to eat in Kuna, Enrique’s has you covered. We realize it gets HOT here, so don’t hesitate to call. We offer the best air conditioner repair in Kuna, to ensure that you’re comfortable and can enjoy all the outdoor activities and can then go back inside to a nice, cool home. If you haven’t had a chance to golf at Falcon Crest Golf Club in Kuna, we recommend that you take a swing at one of their three courses. Ranked as Golfweek’s best course in 2007, the Falcon Crest Championship Course offers incredible views and stellar fairways, making it a course that you won’t forget. 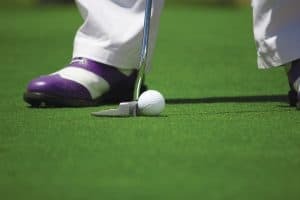 The Freedom Course and Robin Hood Course also have adequate challenges while still making golfing enjoyable for beginners. You’re going to want to check Falcon Crest out. Visit their website here. Formed from ancient lava flows, the Kuna Caves are quite a sight to witness. What appears to be nothing more than a hole in the ground with a steel cage ladder descending downward, the caves open up below to a vast system of lava tubes. To find the entrance simply travel on Kuna Cave Road turn right on Black Cat Road. Then turn left on an unmarked road. If you hit Dickman Road, you’ve gone too far. Then open the cattle gate and follow the road for another hundred feet or so until you reach the cave entrance. Be sure to dress warm, as the cave is about 56 degrees year-round. Its going to start cooling down this fall. If you need a furnace repair or tune-up in Kuna, give Snowflake Air a call at (208) 205-9078.